The owner of a quirky vintage clothes shop discovers her fiancé's life is in danger when a cursed Ouija board comes into her possession. 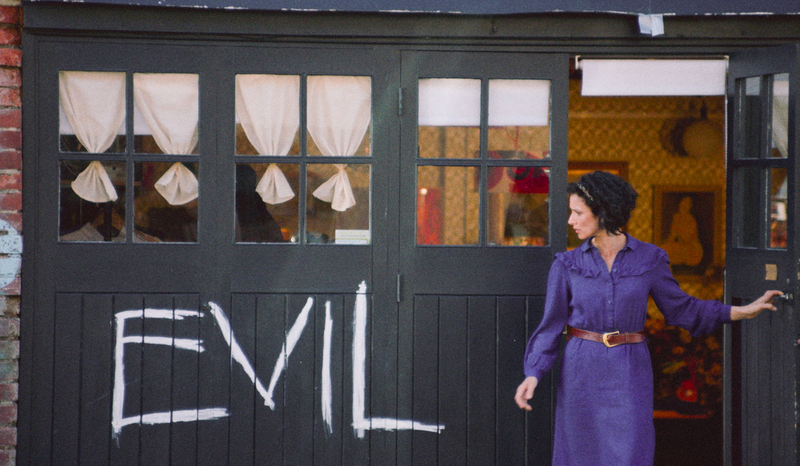 Revenge, clowns and ouija boards are the order of the day in Abi's darkly comic Vintage Blood. Beware, you'll never look at a pair of second hand curtains the same way again! Vintage Blood is my first "proper" short as writer/director (ie. I had a full crew instead of just bringing my mates). l managed to get some excellent actors involved which saves a lot of time on set and definitely elevates the work. Classic tales of romance span centuries, taking place everywhere and anywhere, Arthurian England to Mount Olympus. Now, it’s a carpet store.